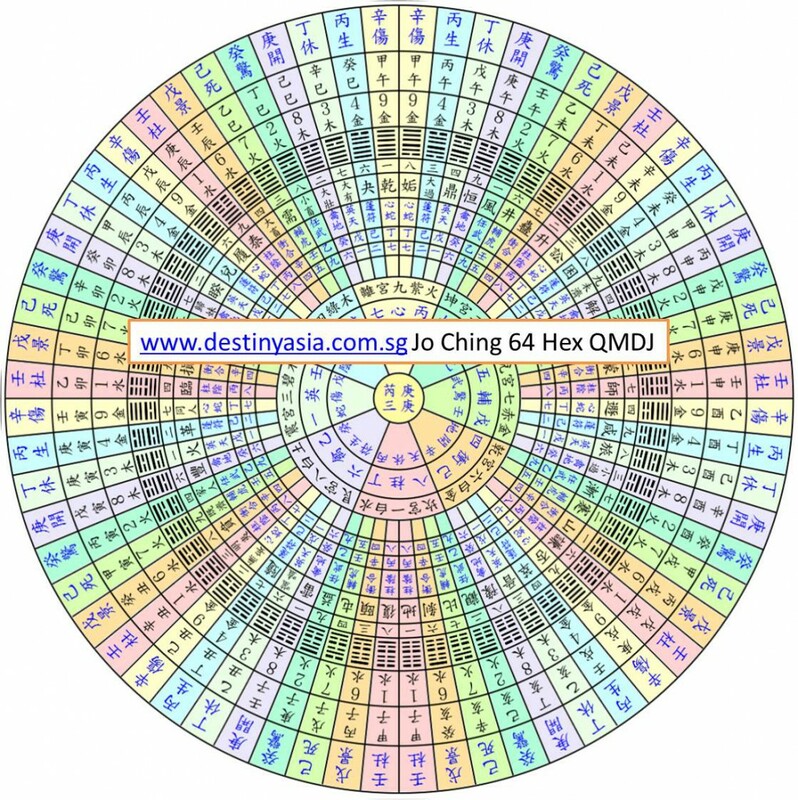 This is the 64 Hexagram QMDJ chart for this hour. This chart is also complete with the 8 Deities, 9 Stars, Purple White and Earth stems rings which are imperative for your fengshui date selection. In the market or some written books, some of these rings are missing. So, do be mindful when you use them. Without complete info, it is dangerous to use this system. Our school of Qi Men provides training on all of the above. Our next QMDJ course [for battle and date selection] will be held in Singapore from 3 to 5 August 2013. Do email us at academy@destinyasia.com.sg for details. May the qi and men be with you.